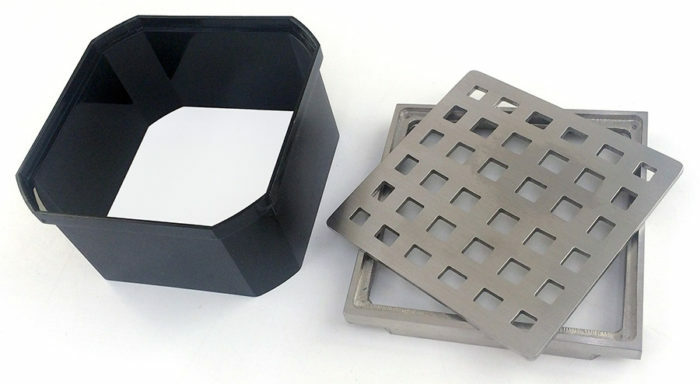 Our drain cover and tray feature rust-free solid stainless steel construction for long life. Our 1.5 inch plastic riser can be easily cut to match the height of your tile or stone installation. Included with each HYDRO-BLOK shower pan and available separately at your HYDRO-BLOK dealer.